D.I.Y. ART FRIENDLY: BeeGreen color drawstring bags are prefect for any Do it yourself projects, not only can they be used for screen printing, heat transfer vinyl and embroidery, they're also great for Tie Dye, Fabric Markers and Puffy Paint. If you use these drawstring cheap gift bags as gift bags for team, you can print their names and numbers on these bags that they would be a huge hit! 10 COLORS MIX : BeeGreen goodie bags birthday are available in 10 colors for each set, include red, green, orange, blue and so on, with a variety of colors, can make your life colorful and you can choose a color based on your interests every day. Also can use these favor bags kids as party bags, such as birthday party, wedding party, bridal party, camping party and so on. PERFECT SIZE : BeeGreen drawstring tote bag party favors measures 16.5"x13.3", it is big enough to carry a pair of shoes, bottle, an umbrella, a few books, lunch or clothing. Idea gifts for birthday party, carnival, construction giveaways, children's safety campaigns, sporting promotions, fair prizes, teacher gifts, BFF Sleepovers, camping, hiking, travel, school bag, shopping, theme parks,disney trip, cabin trip, gym,beach and more. STURDY & LIGHTWEIGHT and MACHINE WASHABLE: BeeGreen drawstrings gym bags personalized are made of High Density 210D polyester fabric. It is a Lightweight fabric that is also VERY sturdy and withstands daily wear and tear. BeeGreen drawstring bag large are Machine Washable, Recommend Mild Detergent and Hang to Dry ! A Great Replacement for Plastic and Paper Bags ! QUALITY ASSURANCE : Double stitches for All seams, Grey PU leather reinforced corners, Quality gray drawstring cords, Metal Eyelets. All BeeGreen Bags are Satisfaction Guaranteed ! D.I.Y. ART FRIENDLY: BeeGreen pink drawstring bags for kids girls are prefect for any Do it yourself projects, not only can they be used for screen printing, heat transfer vinyl and embroidery, they're also great for Tie Dye, Fabric Markers and Puffy Paint. If you use these drawstring bag party favor as gift bags for team or theme party, you can print their names and numbers on these bags that they would be a huge hit! SUITABLE for A VARIETY of OCCASIONS: BeeGreen drawstring bags personalized are suitable for a variety of occasions, such as birthday parties, camping themed parties, cabin party, pool party, wedding party, bridal party, Christmas party, school supplies, volleyball team, soccer team, basketball team, cheer team, short trips and so on. Also the extra reflective strip can enhance the high visibility to ensure your safety while outdoor in dark or dusk. PERFECT SIZE : BeeGreen cloth drawstring bags measures 16.5"x13.4", it is big enough to carry a pair of shoes, bottle, an umbrella, a few books, lunch or clothing. Great for birthday party, school, carnival, construction giveaways, children's safety campaigns, sporting promotions, fair prizes, teacher gifts, BFF Sleepovers, camping, hiking, travel, school bag, shopping, theme parks, disney trip, cabin trip, gym,beach and more. STURDY & LIGHTWEIGHT and MACHINE WASHABLE: BeeGreen drawstring backpack pink are made of High Density 210D polyester fabric. It is a Lightweight fabric that is also VERY sturdy and withstands daily wear and tear. BeeGreen goodie bags for adults are Machine Washable, Recommend Mild Detergent and Hang to Dry ! A Great Replacement for Plastic and Paper Bags ! D.I.Y. ART FRIENDLY: BeeGreen navy blue drawstring bags for boys girls are prefect for any Do it yourself projects, not only can they be used for screen printing, heat transfer vinyl and embroidery, they're also great for Tie Dye, Fabric Markers and Puffy Paint. If you use these bag with strings as gift bags for team or theme party, you can print their names and numbers on these bags that they would be a huge hit! 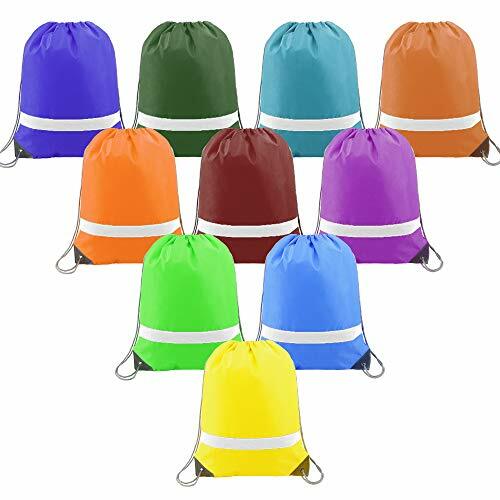 PERFECT SIZE : BeeGreen drawstring bag gym measures 16.5"x13.4", it is big enough to carry a pair of shoes, bottle, an umbrella, a few books, lunch or clothing. Great for birthday party, school, carnival, construction giveaways, children's safety campaigns, sporting promotions, fair prizes, teacher gifts, BFF Sleepovers, camping, hiking, travel, school bag, shopping, theme parks, disney trip, cabin trip, gym,beach and more. SUITABLE for A VARIETY of OCCASIONS: BeeGreen navy drawstring backpacks are suitable for a variety of occasions, such as birthday parties, camping themed parties, cabin party, pool party, wedding party, bridal party, New Years Eve, school supplies, volleyball team, soccer team, basketball team, cheer team, short trips and so on. Also the extra reflective strip can enhance the high visibility to ensure your safety while outdoor in dark or dusk. STURDY & LIGHTWEIGHT and MACHINE WASHABLE: BeeGreen drawstring bag in bulk are made of High Density 210D polyester fabric. It is a Lightweight fabric that is also VERY sturdy and withstands daily wear and tear. BeeGreen drawstring backpacks in bulk are Machine Washable, Recommend Mild Detergent and Hang to Dry ! A Great Replacement for Plastic and Paper Bags ! QUALITY ASSURANCE : Double stitches for All seams, Grey PU leather reinforced corners, Quality gray drawstring cords, Metal Eyelets. All BeeGreen Drawstring Backpack Bags are Satisfaction Guaranteed ! D.I.Y. ART FRIENDLY: BeeGreen back packs sports bags are prefect for any Do it yourself projects, not only can they be used for screen printing, heat transfer vinyl and embroidery, they're also great for Tie Dye, Fabric Markers and Puffy Paint. 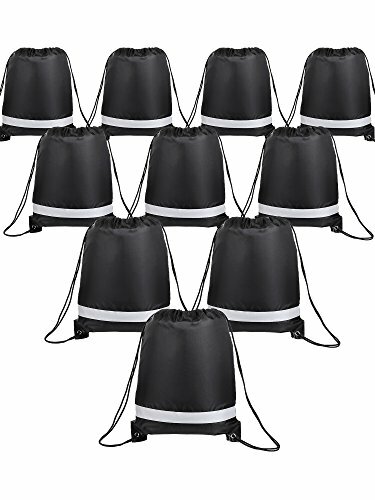 If you use these drawstring sports bags as gift bags for team, you can print their names and numbers on these bags that they would be a huge hit! 4 COLORS MIX : BeeGreen drawstring bags gym sack are available in 4 colors for each set, 3PCS bags for each color and 12PCS per set. include red, royal blue, green, black, with a variety of colors can make your life colorful and you can choose a color based on your interests. Also can use them as party bags, such as birthday party, wedding party, bridal party, camping party, halloween parties and so on. You can use these string bags as party favor bags which can hold the supplies that you need. PERFECT SIZE : BeeGreen drawstring bags unisex measures 16.5"x13.3", it is big enough to carry a pair of shoes, bottle, an umbrella, a few books, lunch or clothing. Idea gifts for birthday party, carnival, construction giveaways, children's safety campaigns, sporting promotions, fair prizes, teacher gifts, BFF Sleepovers, camping, hiking, travel, school bag, shopping, theme parks,disney trip, cabin trip, gym,beach and more. 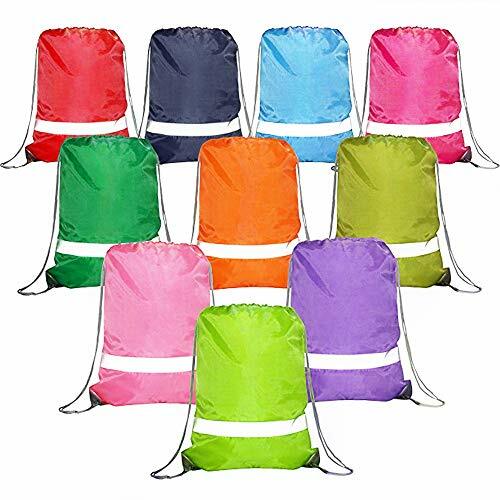 STURDY AND LIGHTWEIGHT & MACHINE WASHABLE: BeeGreen Drawstring reflective backpacks for women and men is made of High Density 210D polyester fabric. It is a Lightweight fabric that is also VERY sturdy and withstands daily wear and tear. 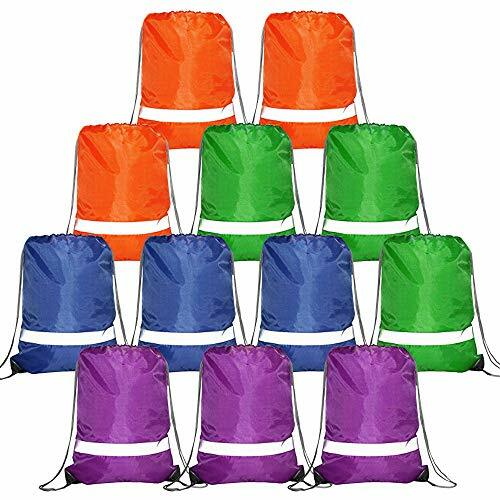 BeeGreen 12 pack drawstring backpacks are Machine Washable, Recommend Mild Detergent and Hang to Dry ! A Great Replacement for Plastic and Paper Bags ! D.I.Y. ART FRIENDLY: BeeGreen drawstring bags for boys and girls are prefect for any Do it yourself projects, not only can they be used for screen printing, heat transfer vinyl and embroidery, they're also great for Tie Dye, Fabric Markers and Puffy Paint. 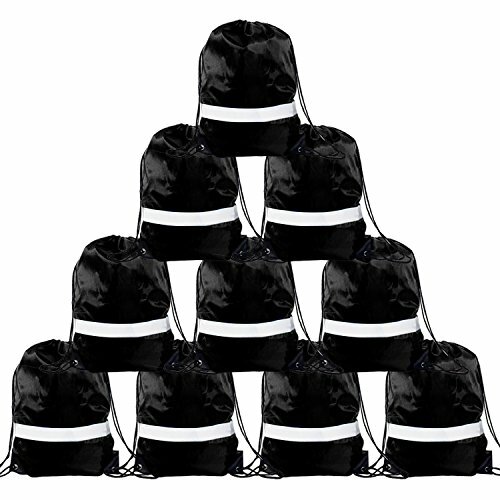 If you use these drawstring backpacks as gift bags for team or theme party, you can print their names and numbers on these drawstring bags that they would be a huge hit! 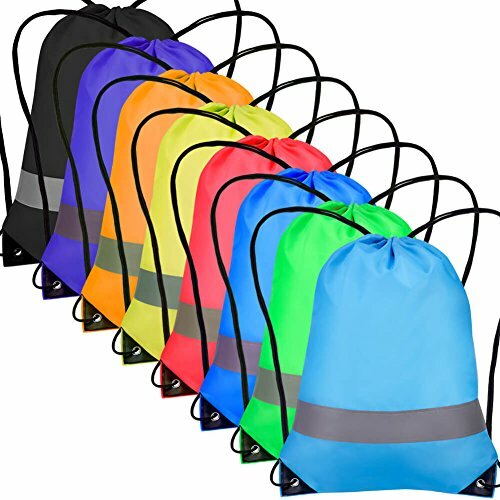 SUITABLE for A VARIETY of OCCASIONS: BeeGreen cheap drawstring backpacks are suitable for a variety of occasions, such as birthday parties, camping themed parties, cabin party, pool party, wedding party, bridal party, school supplies, volleyball team, soccer team, basketball team, cheer team, short trips and so on. Also the extra reflective strip can enhance the high visibility to ensure your safety while outdoor in dark or dusk. PERFECT SIZE : BeeGreen string backpacks measures 16.5"x13.4", it is big enough to carry a pair of shoes, bottle, an umbrella, a few books, lunch or clothing. Idea gifts for birthday party, carnival, construction giveaways, children's safety campaigns, sporting promotions, fair prizes, teacher gifts, BFF Sleepovers, camping, hiking, travel, school bag, shopping, theme parks,disney trip, cabin trip, gym,beach and more. STURDY & LIGHTWEIGHT and MACHINE WASHABLE: BeeGreen drawstring bags bulk are made of High Density 210D polyester fabric. It is a Lightweight fabric that is also VERY sturdy and withstands daily wear and tear. BeeGreen drawstring backpack bags are Machine Washable, Recommend Mild Detergent and Hang to Dry ! A Great Replacement for Plastic and Paper Bags ! QUALITY ASSURANCE : Double stitches for All seams, Grey PU leather reinforced corners, Quality gray drawstring cords, Metal Eyelets. All BeeGreen Drawstring Bags are Satisfaction Guaranteed ! D.I.Y. ART FRIENDLY: BeeGreen athletic drawstring bags are prefect for any Do it yourself projects, not only can they be used for screen printing, heat transfer vinyl and embroidery, they're also great for Tie Dye, Fabric Markers and Puffy Paint. 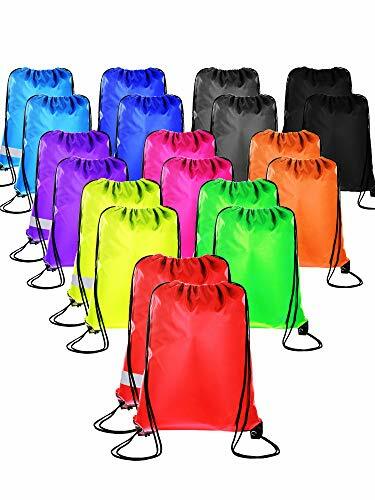 If you use these drawstring bags backpack bulk as gift bags for team, you can print their names and numbers on these bags that they would be a huge hit! PERFECT SIZE : BeeGreen drawstring gym bags measures 16.5"x13.3", it is big enough to carry a pair of shoes, bottle, an umbrella, a few books, lunch or clothing. Idea gifts for birthday party, carnival, construction giveaways, children's safety campaigns, sporting promotions, fair prizes, teacher gifts, BFF Sleepovers, camping, hiking, travel, school bag, shopping, theme parks,disney trip, cabin trip, gym,beach and more. 10 COLORS MIX : BeeGreen custom drawstring gifts bag are available in 10 colors for each set, include teal blue, purple, yellow, pink and so on, with a variety of colors, can make your life colorful and you can choose a color based on your interests every day. Also can use these strings bags as party bags, such as birthday party, wedding party, bridal party, camping party and so on. STURDY & LIGHTWEIGHT and MACHINE WASHABLE: BeeGreen drawstrings bags for women and men are made of High Density 210D polyester fabric. It is a Lightweight fabric that is also VERY sturdy and withstands daily wear and tear. BeeGreen drawstring bag party favors are Machine Washable, Recommend Mild Detergent and Hang to Dry ! A Great Replacement for Plastic and Paper Bags ! D.I.Y. ART FRIENDLY: BeeGreen gym sack drawstring bags are prefect for any Do it yourself projects, not only can they be used for screen printing, heat transfer vinyl and embroidery, they're also great for Tie Dye, Fabric Markers and Puffy Paint. If you use these drawstring back as gift bags for team or theme party, you can print their names and numbers on these drawstring bags that they would be a huge hit! 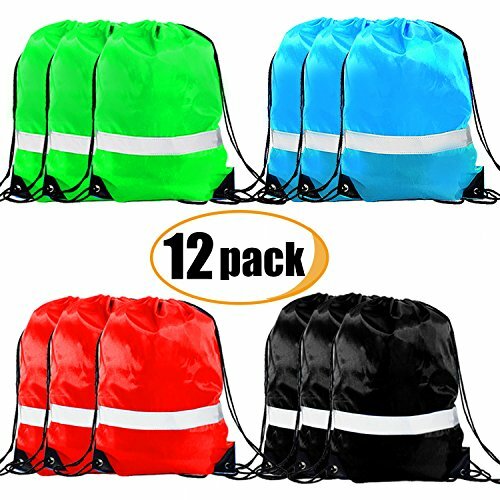 10 COLORS MIX & REFLECTIVE DESIGN: BeeGreen drawstring sports bags are available in 10 colors for each set, include teal blue,purple,yellow,pink,green and so on, with a variety of colors can make your life colorful. 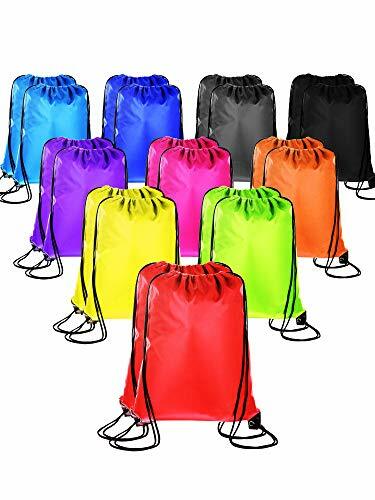 Also can use these drawstring bags for party, such as birthday party, wedding party, bridal party, camping party and so on. And the extra reflective strip design can enhance the high visibility to ensure your safety while outdoor in dark or dusk. 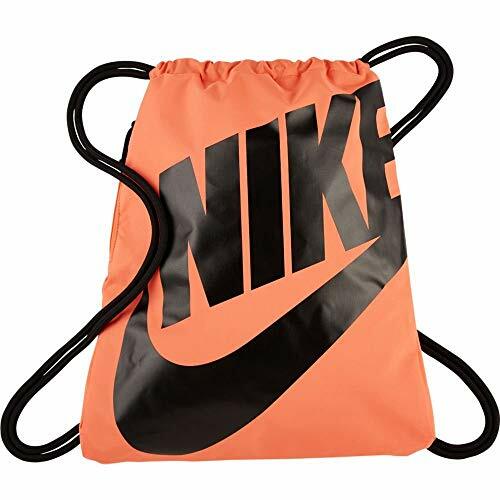 PERFECT SIZE : BeeGreen drawstring gym bags measures 16.5"x13.3", it is big enough to carry a pair of shoes, soccer ball, bottle, an umbrella, a few books, lunch, clothing, etc. Idea drawstring gift bags for birthday party, carnival, construction giveaways, children's safety campaigns, sporting promotions, fair prizes, teacher gifts, BFF Sleepovers, camping, hiking, travel, school bag, shopping, theme parks,disney trip, cabin trip, gym,beach and more. STURDY AND LIGHTWEIGHT : BeeGreen drawstring backpack for kids girls and boys are made of High Density 210D polyester fabric. It is a Lightweight fabric that is also VERY sturdy and withstands daily wear and tear. BeeGreen Cinch Bags are Machine Washable, Recommend Mild Detergent and Hang to Dry ! A Great Replacement for Plastic and Paper Bags ! KEEP YOU SAFE: Reflective strip across the base of the cinch bag enhances the high visibility to ensure your safety while jogging, cycling, biking, motorcycling or walking your dog in dark or dusk.Greatly reduce your chance of being hit at night. STURDY AND LIGHTWEIGHT : BeeGreen Black Drawstring Backpack is made of High Density 210D polyester fabric. It is a Lightweight fabric that is also VERY sturdy and withstands daily wear and tear. Great for snacks, water bottles, baseball, football, basketball, soccer and promotional accessories for your company. WASHABLE : BeeGreen Cinch Bags are Machine Washable, Recommend Mild Detergent and Hang to Dry ! A Great Replacement for Plastic and Paper Bags ! PERFECT SIZE : BeeGreen black drawstring bags cinch backpack measures 16.5"x13.3", it is big enough to carry a pair of shoes, bottle, an umbrella, a few books, lunch or clothing. Idea gifts for birthday party, New Years eve, carnival, construction giveaways, children's safety campaigns, sporting promotions, fair prizes, teacher gifts, BFF Sleepovers, camping, hiking, travel, school bag, shopping, theme parks,disney trip, gym,beach and more. GUARANTEED WATERPROOF! Your IDRYBAG is carefully designed and meticulously constructed of heavy duty 500D Vinyl-coated woven polyester with heavy duty welded and watertight seams. This waterproof dry bag is the perfect combination of premium quality, extreme durability, and maximum protection! Keeps your gear dry & safe­......guaranteed! EASY TO USE & CLEAN: Just load your gear into your waterproof bags, grab the top woven tape and roll down tightly 3 to 4 times, and then plug buckle to complete seal. You may also guide the stretched strap over the zipped clip for a more compressed fit. It is waterproof either way! Quick and easy to use, the smooth durable surface of your dry sack is easy to wipe clean after each use. ZIPPERED & PROTECTIVE POCKETS: The unique inner zip pocket & splash proof outer zip pocket will safely store small essentials. You'll easily be able to reach your must-haves without having to rummage through your dry bag backpack. Use the foldable/zippered side bottle pocket for water bottles, containers, or other small items. EASY TO CARRY: Each waterproof backpack includes two cushioned, adjustable and removable shoulder straps for single strap over the shoulder, or traditional back pack style carry options. It can also be carried as a hand-held bag. Dry bags may also be easily attached to your kayak, boat, or other favorite watercraft to keep your dry bag conveniently at hand. NIGHT-TIME SAFETY: The reflective strip above the pocket cover zipper keep you & your dry bags waterproof visible in the dark. Bag overboard? No worries, it floats! Plus, the reflective design makes it easier to quickly spot and retrieve. CUTE DESIGNS : ONE Sea Turtles drawstring backpack for children with cute Sea Turtles printing design on front. Idea gifts for birthday party, swimming pool party, Halloween, Christmas party, carnival, givaways, fair prizes, teacher gifts, BFF Sleepovers, trip, walking, camping, hiking, travel, school bag, shopping, theme parks, gym, summer fun bags and more. PERFECT SIZE : BeeGreen blue string backpack measures W13.4 inches *H16.5 inches/ W34cm*H42cm. It's big enough to hold lots of snacks, candy, sweet treats, birthday party favors, school supplies, and other small daily supplies. Perfect as gifts for girls boys and children, can be also used for storing shoes, accessories, toys, small electronics and so on. 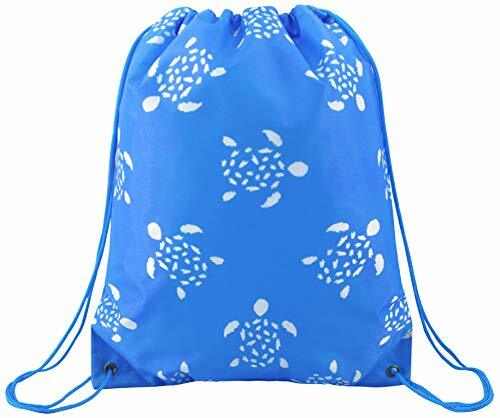 STURDY AND LIGHTWEIGHT : BeeGreen Sea Turtles drawstring bag for kids are made of 100% High Density Polyester water resistant Cloth. 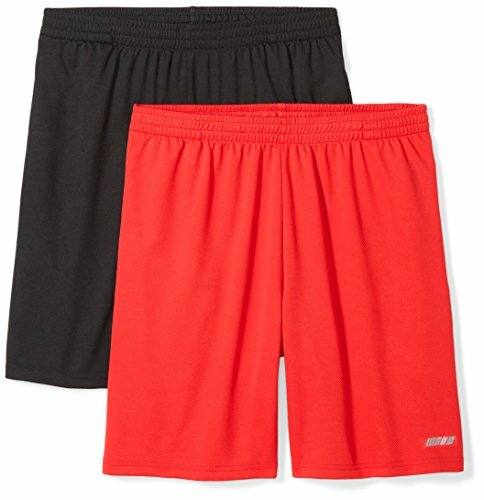 It is a Lightweight fabric that is also VERY sturdy and resistant to rips. WASHABLE : BeeGreen blue drawstring backpacks are Machine Washable, Recommend Mild Detergent and Hang to Dry ! A Great Replacement for Plastic and Paper Bags ! QUALITY ASSURANCE : BeeGreen blue drawstring bag is double reinforced stitches for All seams,Quality blue rope as drawstring cords -fun and sturdy. All BeeGreen Bags are Satisfaction Guaranteed ! High Quality Material：Made from 190T high density Polyester fabric +PVC coating. Anyoo high quality reusable raincoat with tear-resistance feature for durable and comfortable wearing. Suitable for all seasons. Two In One Size Design: The nylon Hook & Loop on the back can enlarge the size of the raincoat. Make it large enough to cover your 50L backpack. Raincoats not only protect you but also protect your bag from rain during the process of your adventure. Added Safty: Reflective striping on the back of the rain jacket for improving night-time visibility； There is a drawstring on the hood to adjust if needed, giving more room for sweater inside without getting tight; 2 sides deep pockets with flap covers to keep some carry belongings，detail design focus on customer's benefit. Lightweight & Easy To Pack: This is the perfect lightweight jacket to have. 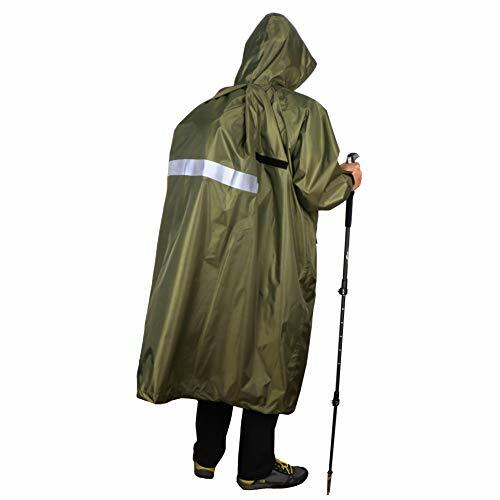 Portable and foldable raincoat in small size for outdoor carrying in your bag as a precaution or storing when unused. A great alternative to carry while you travel. Keep You Dry: Long body piece with hooded & sleeves rainwear keeping you dry from head to foot, electronically welded seams, button closure. Suit for water rides, Festivals, Theme Parks. Raincoat offers perfect complete protection for cycling, hiking, camping, travelling, running in rainy or wet weather. 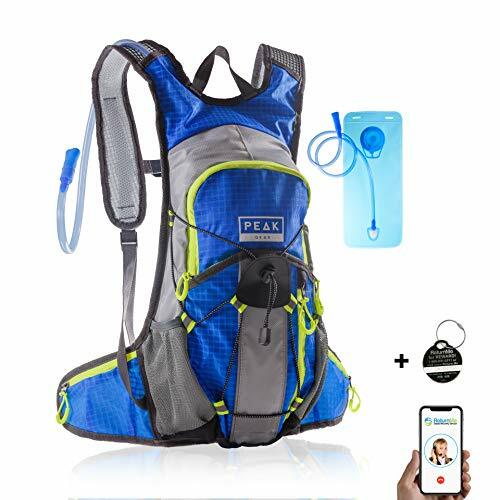 ✅ DRINKING MADE SMARTER - Durable yet lightweight hydration pack. Plenty of storage with multiple sections, side access pockets and bungee cord holder. Great vest for walks, hiking or cycling. Small enough to take on a mountain bike or snowboard trail. Even use for a rave! (Capacity: 2 Liter Bladder Bottle, 4 Liter Backpack). ✅ NON-TOXIC, BPA-FREE BLADDER - Worry-Free use with safe FDA-grade materials. Hot sealed to avoid harmful glues. Bladder features leak-proof design with large, top-fill cap. Effortless bite valve for easy water flow. Convenient running backpack for walking, jogging, theme parks, as a running pack, on bicycle or snowboard backpack. ✅ DESIGNED FOR QUALITY, COMFORT and SAFETY - Distributes weight off your back with ample padding and side stabilizers. Breathable shoulder straps keep you cool during activities like biking. Built tough with water resistant 420D ripstop nylon. Multiple reflective safety straps for maximum visibility at night. ✅ LIFETIME GUARANTEE - Experience the Peak Gear Difference. 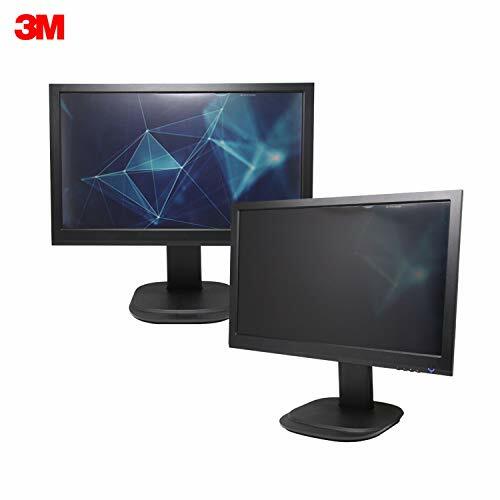 We stand behind our products so you don't have to worry. We are a US-based company that prides itself on providing top quality products and exceptional customer service. Just read the reviews of our other products. 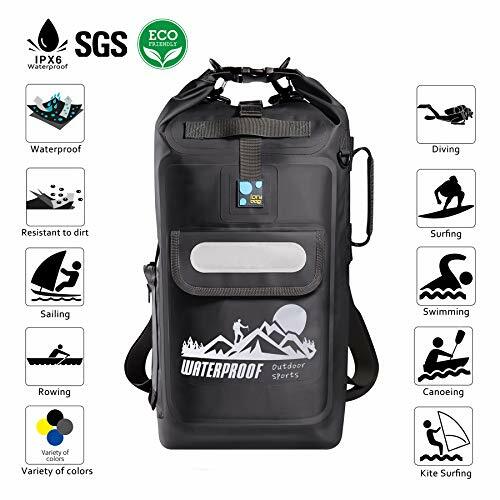 Buy our newest water backpack, with peace of mind knowing your bag is backed by our Manufacturer Warranty, so your purchase is virtually Risk-Free! D.I.Y. ART FRIENDLY: BeeGreen green drawstring backpacks are prefect for any Do it yourself projects, not only can they be used for screen printing, heat transfer vinyl and embroidery, they're also great for Tie Dye, Fabric Markers and Puffy Paint. If you use these drawstring backpacks as gift bags for team, you can print their names and numbers on these bags that they would be a huge hit! PREFECT SIZE & STURDY: Dimensions: 16.5"h x 13.3"w. Great size not overly large but can definately hold quite a bit. Such as a bottle of water, snacks, car keys and so on. BeeGreen drawstring tote bag is made of lightweight but sturdy Polyester material. All BeeGreen drawstring backpacks are Double stitches for All seams, Reinforced corners, Quality gray drawstring cords and Rustless Brass Eyelets so it doesn't rip easily and safe to hold heavier items. 60-Day NO-RIP GUARANTEE: We'll replace or refund any bags that rip or break within 60 days of purchase. Message our support on Amazon for fast service. 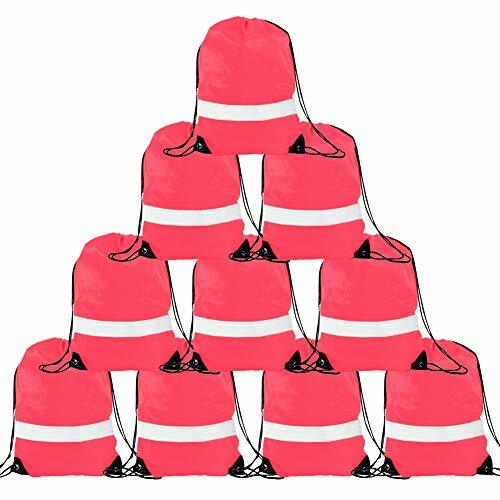 Drawstring Backpack - Reflective strip was was bonus feature not found on other brands.Reflective Sack Bags for safety in the dark. Drawstring Bag is very handy to have around when you need a light bag to carry a few things,and the drawstrings are have a soft texture. Cinch Sack Bag folds flat, takes up little space in the suitcase, and is handy to carry lightweight items. 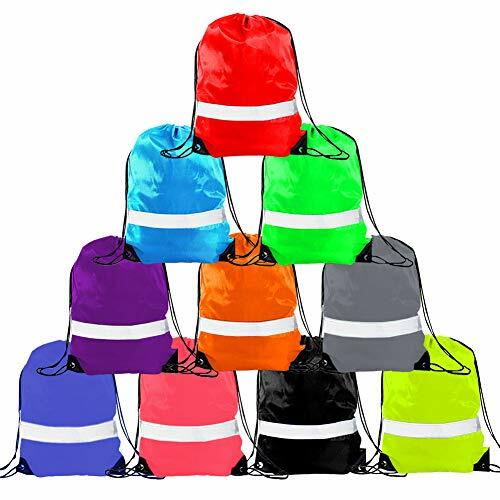 Reflective Bags Drawstring Bag - Something lightweight to store rather than a bulky zippered backpack.Gym Sack Bag appears to be high quality visually. 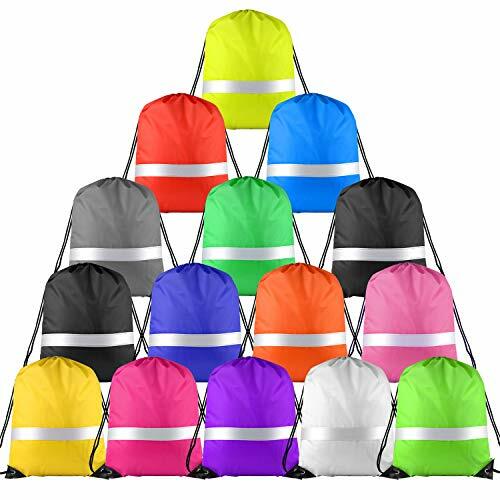 If you have any question about Drawstring Reflective Sack Bags, please contact us.We 'll solve for you as soon as posible. D.I.Y. ART FRIENDLY: BeeGreen drawstring backpack are prefect for any Do it yourself projects, not only can they be used for screen printing, heat transfer vinyl and embroidery, they're also great for Tie Dye, Fabric Markers and Puffy Paint. If you use these drawstring backpack as gift bags for team, you can print their names and numbers on these bags that they would be a huge hit! 4 COLORS MIX : BeeGreen drawstring backpack are available in 4 colors for each set, 3PCS bags for each color and 12PCS per set. include orange, royal blue, green, purple, with a variety of colors can make your life colorful and you can choose a color based on your interests. Also can use them as party favor bags, such as birthday party, bridal party, camping party, halloween parties and so on. You can use these string backpacks as party favor bags which can hold the supplies that you need. PERFECT SIZE : BeeGreen drawstring sport bags unisex measures 16.5"x13.3", it is big enough to carry a pair of shoes, bottle, an umbrella, a few books, lunch or clothing. Idea gifts for birthday party, carnival, construction giveaways, children's safety campaigns, sporting promotions, fair prizes, teacher gifts, BFF Sleepovers, camping, hiking, travel, school bag, shopping, theme parks,disney trip, cabin trip, gym,beach and more. STURDY AND LIGHTWEIGHT & MACHINE WASHABLE: BeeGreen sport bags for women and men is made of High Density 210D polyester fabric. It is a Lightweight fabric that is also VERY sturdy and withstands daily wear and tear. 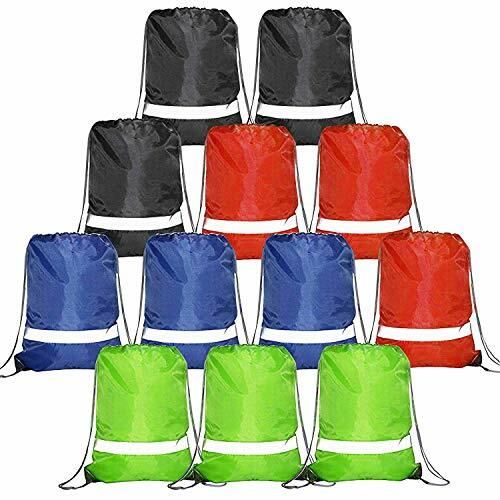 BeeGreen backpacks for sports are Machine Washable, Recommend Mild Detergent and Hang to Dry ! A Great Replacement for Plastic and Paper Bags ! LARGE SPACE: The main space of BeeGreen drawstring baseball bat bag measures 16" x 20" which is big enough to carry Baseball, Softball or T-Ball Gear, such as helmet, glove, shoes, gym clothing, sport towel. Also can be used for carrying a basketball, soccer ball or daily supplies. Perfect for baseball or softball sports, gym, trip, school, walking and more! It's also a fabulous gift idea for Children's Day, Back to School, Black Friday, Cyber Monday, Prime Deal Day or Christmas. 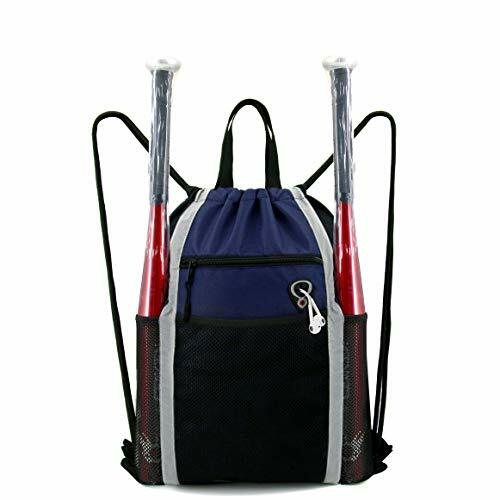 MULTI COMPARTMENTS AND KEEP THINGS ORGANIZED: BeeGreen drawstring backpack softball bat bag has one main compartment, it's big enough for baseball helmet, batting gloves, cleats, baseball cap, shoes and catching glove. The front zipper pocket is good for holding ipad, kindle, gym towel, etc. Another front middle mesh pocket for water bottle, umbrella or sunscreen. And two side mesh pockets are perfect for bats. An extra inside zipper pocket is great for holding small important items. HANDLE DESIGN and REFLECTIVE STRIP: BeeGreen drawstring baseball bag softball bag has 2 handy carry handles allow for hand holding or hang it on the wall or door, very convinient for you use. 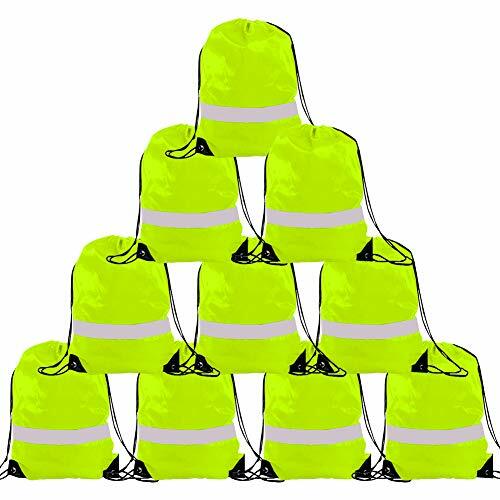 Also the extra reflective strips can enhance the high visibility to ensure your safety while jogging, cycling, biking, motorcycling or walking your dog in dark or dusk. Greatly reduce your chance of being hit at night. ENHANCED DURABILITY & STRONG STRING CORDS: BeeGreen drawstring baseball bat bag backpack is made of High Density Oxford which is SUPER durable and withstands daily wear and tear. Adjustable drawstrings can fit both adults and teens. Backpack design can free up your hands, and strong thick string cords prevents from digging into your shoulders and help reduce your shoulder burden. 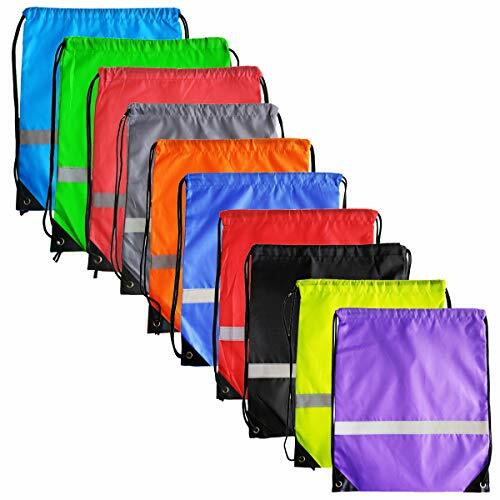 Reflective Sack Bags: Reflective strip was was bonus feature not found on other brands.Reflective Sack Bags for safety in the dark. 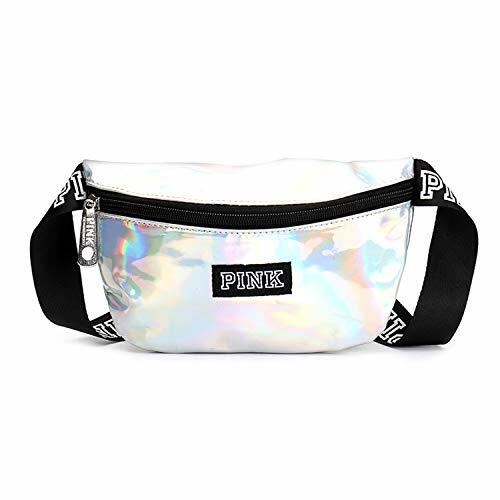 Material: Made of Washable 100% Polyester Fabric, PU reinforced corners and Reflective strip, It is a Lightweight fabric that is also VERY sturdy and withstands daily wear and tear. Perfect Size:Cinch Backpack measures approx. 42cm/16.8inches in length and 35cm/14inches in width, it is big enough to carry a pair of shoes, bottle, basketball, an umbrella, a few books, lunch or clothing. 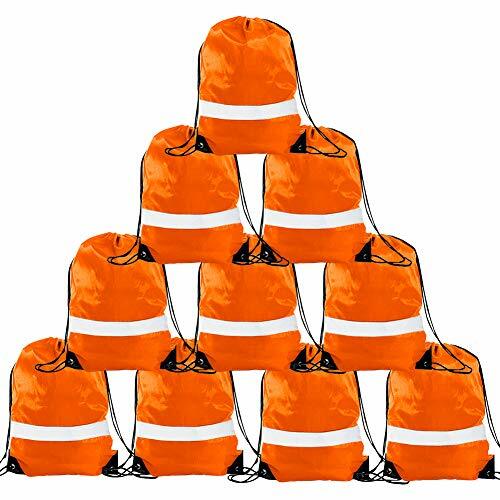 Idea gifts for birthday party, carnival, construction giveaways. Warranty: We do not sell perfect pictures but goods, we provide full refund or reshipping new goods for free if you are not satisfied with our products in 12 Months. Drawstring Backpack folds flat, takes up little space in the suitcase, and is handy to carry lightweight items. Drawstring Bag - Something lightweight to store rather than a bulky zippered backpack.Gym Sack Bag appears to be high quality visually. Cinch Sacks are very handy to have around when you need a light bag to carry a few things,and the drawstrings are have a soft texture. 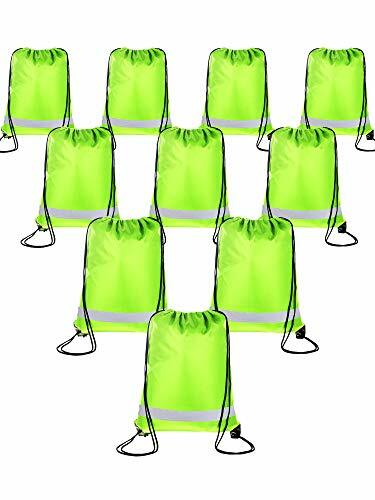 String Reflective Bags - Reflective strip was was bonus feature not found on other brands.Reflective Sack Bags for safety in the dark. If you have any question about Drawstring Backpack ,please contact us.We 'll solve for you as soon as posible. Drawstring Cinch Sack Bags - Reflective strip was was bonus feature not found on other brands.Reflective Sack Bags for safety in the dark. If you have any question about Drawstring Bag ,please contact us.We 'll solve for you as soon as posible. Drawstring Bags are very handy to have around when you need a light bag to carry a few things,and the drawstrings are have a soft texture. 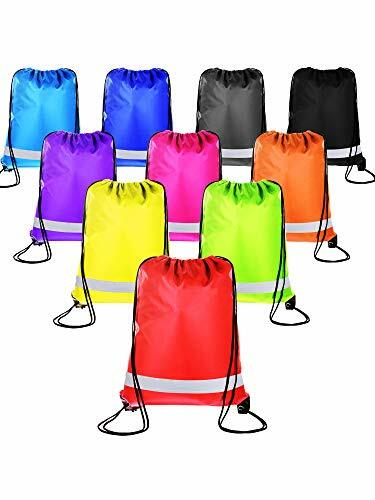 Drawstring Reflective Sack Bags - Reflective strip was was bonus feature not found on other brands.Reflective Sack Bags for safety in the dark. 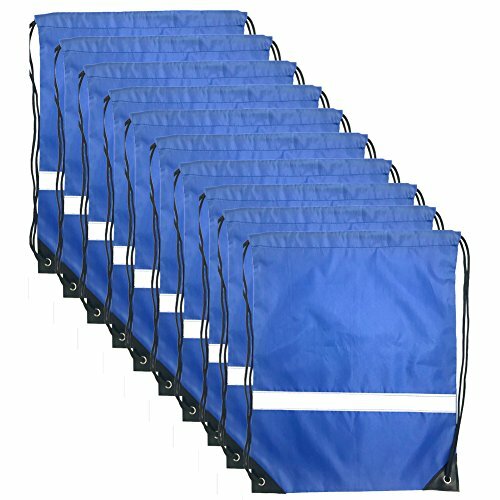 Reflective Bags Gym Sack Bag folds flat, takes up little space in the suitcase, and is handy to carry lightweight items. 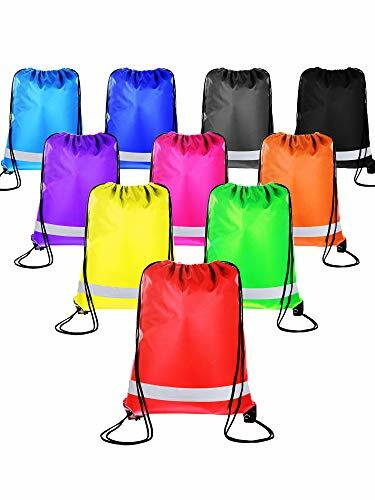 Reflective Bags Drawstring Bags - Something lightweight to store rather than a bulky zippered backpack.Gym Sack Bag appears to be high quality visually. If you have any question about Drawstring Reflective Sack Bags ,please contact us.We 'll solve for you as soon as posible. If you have any question about Drawstring Backpack, please contact us.We 'll solve for you as soon as posible. Cinch Sack folds flat, takes up little space in the suitcase, and is handy to carry lightweight items. Drawstring Backpack are very handy to have around when you need a light bag to carry a few things,and the drawstrings are have a soft texture. 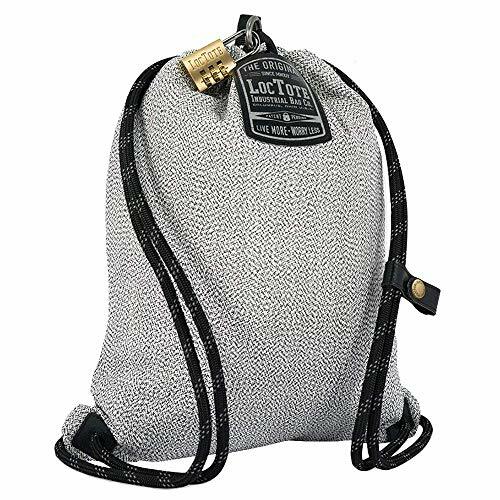 Double steel reinforced locking strap & heavy-duty combination lock allow you to lock the bag shut, and to a fixed object. Large Interior RFID Blocking Pocket shields credit cards, passports, smart cards from unauthorized scanning. Drawstring Bag - Reflective strip was was bonus feature not found on other brands.Reflective Sack Bags for safety in the dark. 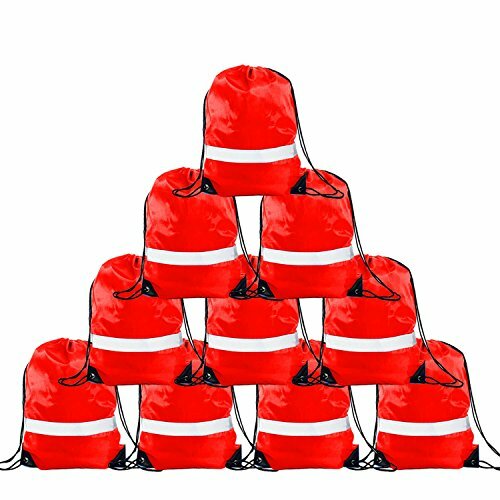 Reflective Bags Drawstring Backpack are very handy to have around when you need a light bag to carry a few things,and the drawstrings are have a soft texture. 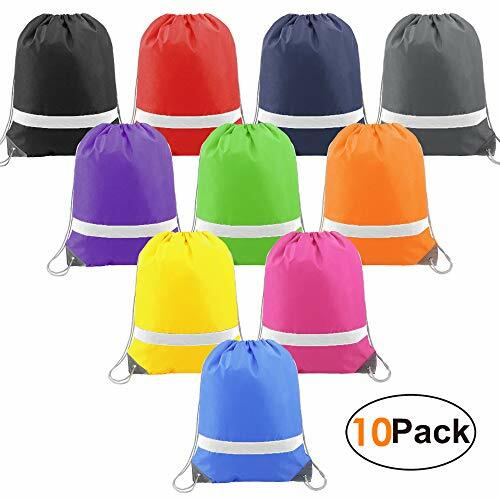 Drawstring Backpack Reflective Bags Gym Sack Bag folds flat, takes up little space in the suitcase, and is handy to carry lightweight items. 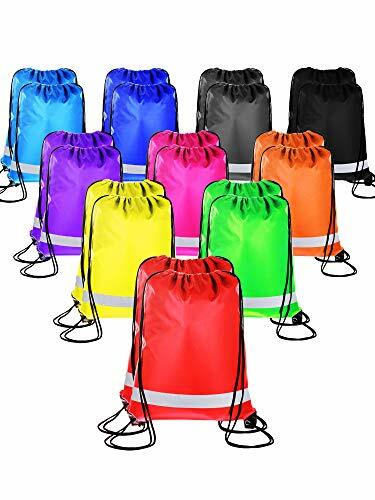 Reflective Drawstring Bags - Something lightweight to store rather than a bulky zippered backpack.Gym Sack Bag appears to be high quality visually. 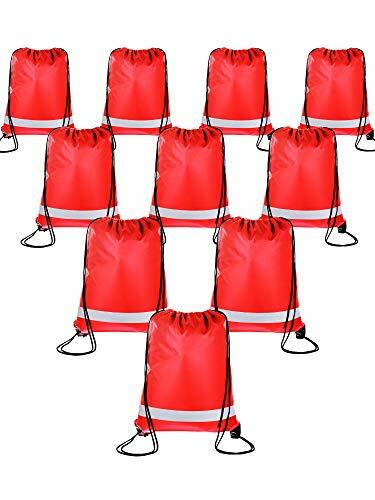 Reflective Bags Gym Sack Bag folds flat, takes up little space in the suitcase, and Drawstring Backpack Bags are handy to carry lightweight items. 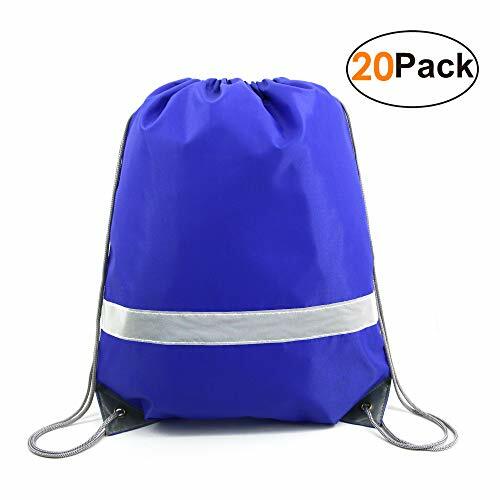 Drawstring Backpack Bags are very handy to have around when you need a light bag to carry a few things,and the drawstrings are have a soft texture. 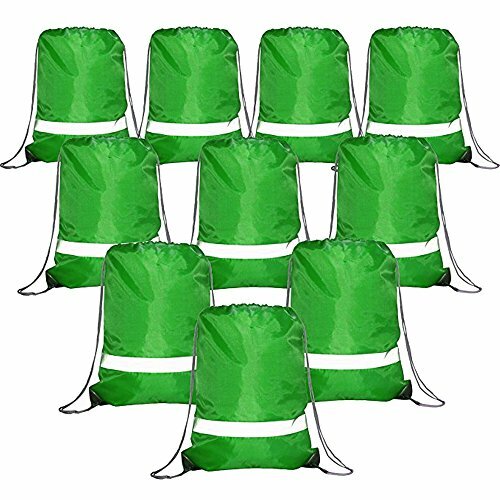 ❉10 Pack Drawstring Bag - Reflective strip was was bonus feature not found on other brands.Reflective Sack Bags for safety in the dark. ❉Drawstring Bags are very handy to have around when you need a light bag to carry a few things,and the string backpacks are have a soft texture. ❉Gym Cinch Sack Bag folds flat, takes up little space in the suitcase, and is handy to carry lightweight items. 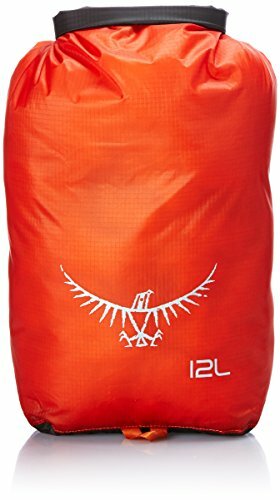 ❉Drawstring Bag - Something lightweight to store rather than a bulky zippered backpack.Gym Sack Bag appears to be high quality visually. ❉If you have any question about Drawstring Backpack, please contact us.We 'll solve for you as soon as posible. 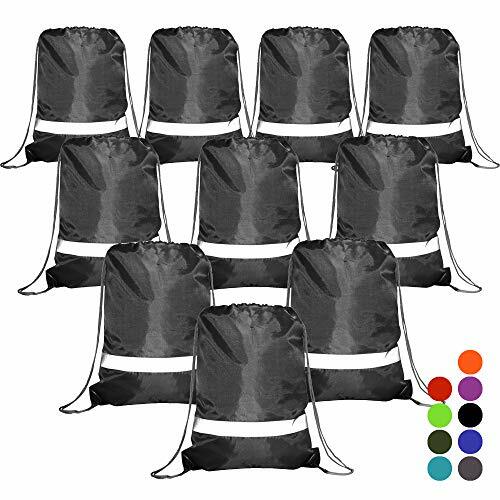 ❉10 Pack Gym Sack Bag folds flat, takes up little space in the suitcase, and is handy to carry lightweight items. 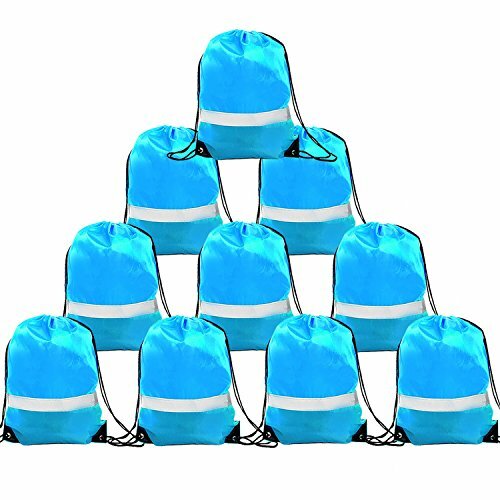 ❉Drawstring Backpack Bag - Reflective strip was was bonus feature not found on other brands.Reflective Sack Bags for safety in the dark. ❉Drawstring Bags are very handy to have around when you need a light bag to carry a few things,and the drawstrings are have a soft texture. ❉If you have any question about Drawstring Reflective Sack Bags ,please contact us.We 'll solve for you as soon as posible. CUTE DESIGNS : ONE unicorn drawstring gym bag backpack for girls with cute unicorn printing design on front. Idea gifts for birthday party, unicorn themed parties, Halloween & Christmas,carnival, givaway, fair prizes, teacher gifts, BFF Sleepovers, camping, hiking, travel, school bag, shopping, theme parks,disney trip,gym,summer fun bags and more. 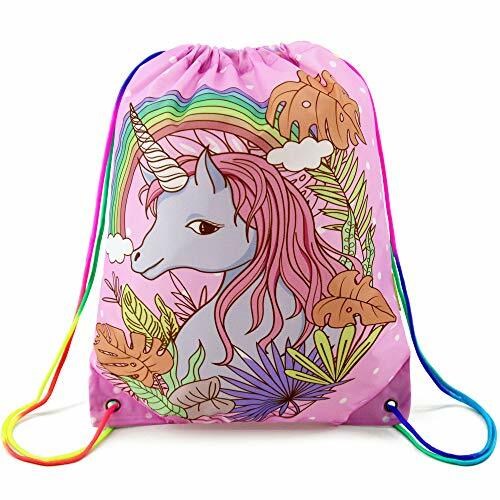 PERFECT SIZE : BeeGreen unicorn drawstring backpack measures W12.5 inches *H15.75 inches/W32cm*H40cm, it's big enough to hold lots of snacks, unicorn party supplies, school supplies, and other daily small items. Perfect as gifts for kids, can be also used for storing shoes, accessories, toys,small electronics and so on. STURDY AND LIGHTWEIGHT : BeeGreen Kids drawstring backpacks with Unicorn design are made of 100% High Density Polyester Water resistant Cloth. It is a Lightweight fabric that is also VERY sturdy and resistant to rips. WASHABLE : BeeGreen unicorn drawstring bag child cinch bags are Machine Washable, Recommend Mild Detergent and Hang to Dry ! A Great Replacement for Plastic and Paper Bags ! QUALITY ASSURANCE : Double reinforced stitches for All seams, Unique Rainbow color Parachute rope as drawstring cords -fun and sturdy. All BeeGreen unicorn bags are Satisfaction Guaranteed ! 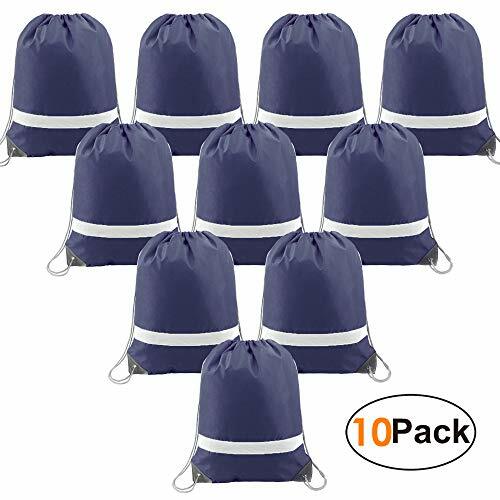 ❉10 Pack Drawstring Bag - Something lightweight to store rather than a bulky zippered backpack.Gym Sack Bag appears to be high quality visually. ❉Gym Sack Bag folds flat, takes up little space in the suitcase, and is handy to carry lightweight items. ❉Drawstring Reflective Sack Bags - Reflective strip was was bonus feature not found on other brands.Reflective Sack Bags for safety in the dark. KEEP YOU SAFE: Reflective strip across the front of the camo drawstring backpack enhances the high visibility to ensure your safety while jogging, cycling, biking,hiking,hunting or walking your dog in dark or any outdoors.Greatly reduce your chance of being hit at night. DURABILITY- Made with 210D 100% polyester makes these camo bags very durable plus lightweight. Carrying things around just become easier without lugging around heavy bags. Great for snacks, gifts,water bottles, baseball, football, basketball, soccer and promotional accessories for your company. PERFECT SIZE : BeeGreen camoflague backpack measures 16.5"x13.3" make a nice size, it is big enough to carry a pair of shoes, bottle, gym cloths, a few books, lunch. Idea gifts for birthday party, army party, outdoor going suppliers, giveaways, boys and girls sports goodies, gym promotions,teacher gifts, camping, hiking, travel, school bag, shopping, theme parks, Disney trip, beach and more.It's a great option for kids gifts. 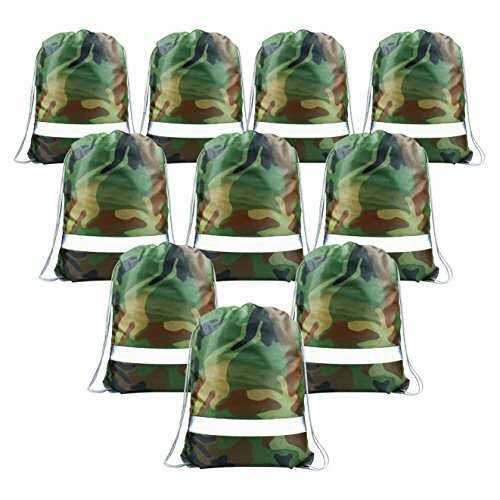 DIGITAL GREEN CAMO : BeeGreen camouflage pattern drawstring bags are your best choice for military activities or summer school events like camping.These party favors bags work well to help create a scavenger hunt for boys birthday party with this army style camoflauge goodies. QUALITY ASSURANCE : Double stitches for All seams, Grey PU leather reinforced corners, Reflective Tap,Quality gray drawstring cords, Metal Eyelets. All BeeGreen camo gym bags are Satisfaction Guaranteed ! 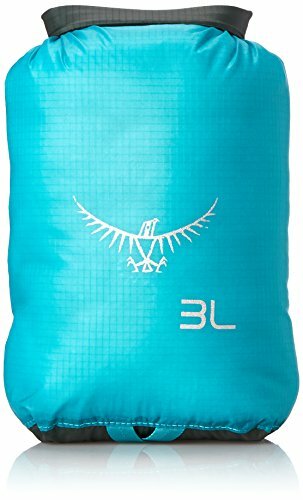 Drawstring Bags - Something lightweight to store rather than a bulky zippered backpack.Gym Sack Bag appears to be high quality visually. Drawstring Sack Bag folds flat, takes up little space in the suitcase, and is handy to carry lightweight items. If you have any question about Drawstring Bag or drawstring backpack bulk, please contact us. We 'll solve for you as soon as posible. CUTE DESIGNS : ONE dinosaur drawstring gym bag with cute dinosaur printing design on front. Idea gifts for birthday party, dinosaur theme parties, swimming pool party,Halloween & Christmas,carnival, givaway, fair prizes, teacher gifts, BFF Sleepovers, camping, hiking, travel, school bag, shopping, theme parks,disney trip,gym,summer fun bags and more. 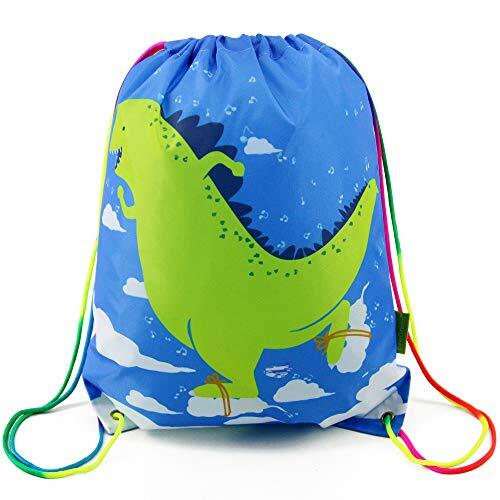 PERFECT SIZE : BeeGreen dinosaur drawstring backpack measures W12.5 inches *H15.75 inches/W32cm*H40cm, it's big enough to hold lots of snacks, dinosaur party supplies, school supplies, and other small daily supplies. Perfect as gifts for kids, can be also used for storing shoes, accessories, toys, small electronics and so on. STURDY AND LIGHTWEIGHT : BeeGreen Dinosaur drawstring bag for boys are made of 100% High Density Polyester Water resistant Cloth. It is a Lightweight fabric that is also VERY sturdy and resistant to rips. WASHABLE : BeeGreen Child Cinch gift Bags are Machine Washable, Recommend Mild Detergent and Hang to Dry ! A Great Replacement for Plastic and Paper Bags! QUALITY ASSURANCE : BeeGreen Dinosaur party bag is double reinforced stitches for All seams, Unique Rainbow color Parachute rope as drawstring cords -fun and sturdy. All BeeGreen Bags are Satisfaction Guaranteed ! SMARTPHONE POCKET. Step into your first pair of these High Waist Yoga Capris by Yogalicious and never go back to the overpriced yoga pants you used to wear. Best of all, these cropped leggings have 2 side pockets, and a hidden waistband compartment. Now you have a place to store your cell phone and keys during pilates or spin class. After just one wear, these versatile capris are sure to become your go to activewear for sweat dates or just sitting on the couch. SLIMMING HIGH WAISTBAND. These 22-inch high waisted yoga capris are made for women who crave comfort, but don't want to sacrifice style or performance. These pocket leggings for women feature a wide, high rise waistband with tummy control that adds support while contouring your shape. These yoga pants feature a reflective logo on the center back of the waistband. DURABLE MATERIAL.These high waisted capris are made out of our soft, stretchy Lux material that wicks the sweat away, and provides coverage when bending or squatting. Comprised of 83% Polyester and 17% Spandex, this performance material will hold up throughout the toughest of workouts. No see through tights here! For best results, wash your athletic capris with similar colors and lay flat instead of using your dryer. RELIABLE, WELL LOVED BRAND. Yogalicious is a lifestyle brand that creates and designs athleisure apparel for everyday women who love to sweat and move around. With an emphasis on comfort and style, Yogalicious is sure to offer a style for every fashion taste. Yogalicious designs its yoga pants with function and performance in mind so each article of apparel is ideal for everyone from moms on the go to yoga teachers. 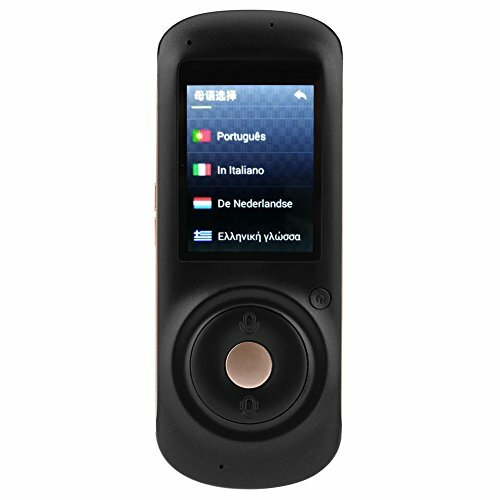 Ciglow Voice Translator Device, Portable Intelligent Real Vocie Simultaneous Translation Support 35 Languages 8H Working Hours Translator Multi-Language for Business Learning, Travel, Shopping. 2.4-inch touch color screen, simple and elegant theme design, wonderful visual experience and touch screen experience, easy to have a good mood. Ergonomic design, golden ratio profile, beautiful outline, comfortable feeling. Accurate translations in 35 languages make it easy to solve your communication problems and meet your multilingual translation needs so that you no longer feel embarrassed about transnational communication. It adopts a stable and intelligent hardware platform, supports 4G high-speed Internet access, supports WIFI to connect to the Internet, and is faster and more efficient. 1500mAh high-capacity polymer battery, standby time 150 hours, working hours 6 hours to meet your travel needs. HIFI stereo recording sound quality, built-in dual-Silicon stereo HIFI, high-definition recording, automatic recognition of noise, voice recordings at any time to keep voice. Real-time online free update and optimization of translation machine software, making the translation machine with higher performance and better service.